​Make a Difference and Get Paid for Your Opinions! In Calgary, Alberta on Wednesday, January 30th. We have some sessions about home utilities in the evening. Specifically, we are looking to speak with females and males aged 18+. 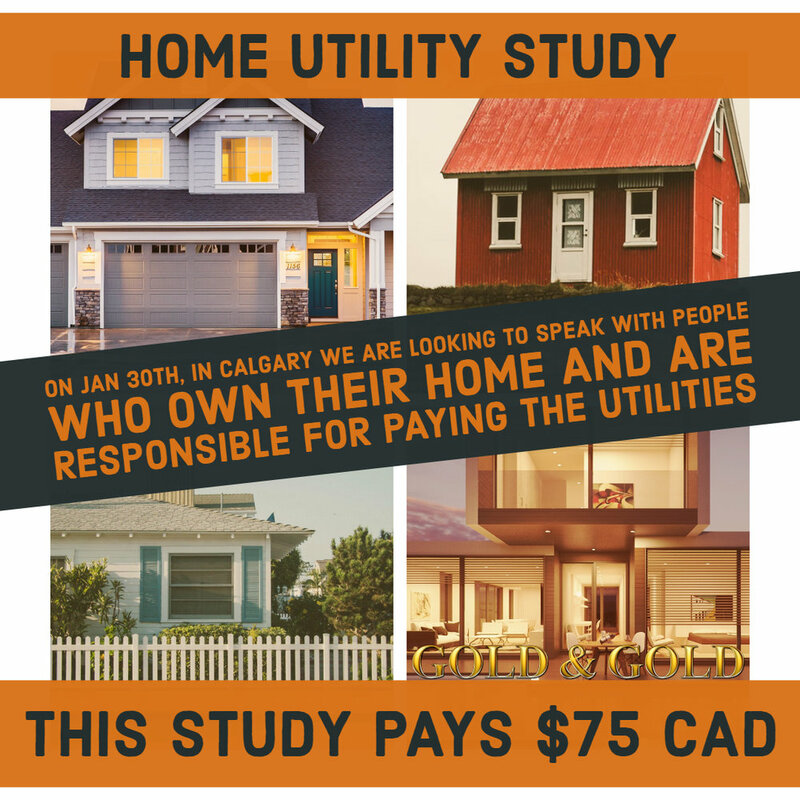 Who own their home and are responsible for paying the utilities. The discussions will take 2 hours and the study pays $75 CAD. Thank you, this study is now full. If you are interested in participating in our studies, please sign up on the sign-up page.